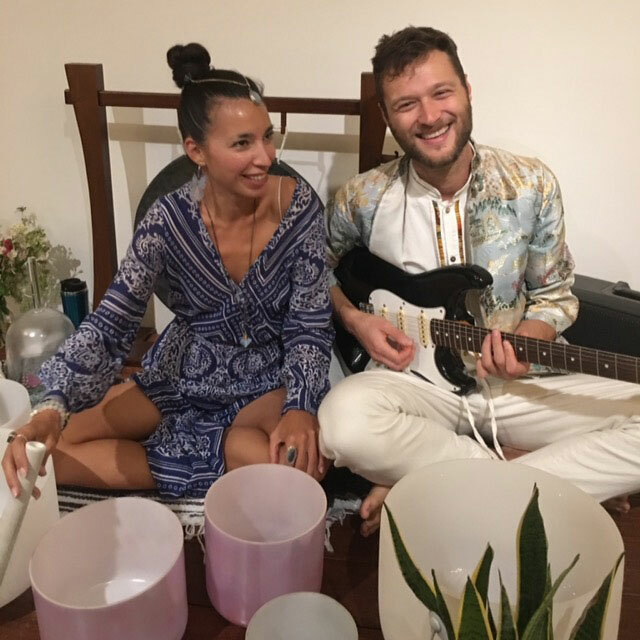 Lemurian Water sounds is a Celestial Music duo that incorporates the music of plants using biofeedback technology, the celestial sounds of crystal healing bowls, healing instruments and ethereal vocals. This transcendental sound journey is designed to activate the ‘I am presence divine blueprint’ and assist us in remembering our unique divine essence. Guided by her cetacean friends Larimar OceAna incorporates Light language tones, speaking directly to one’s heart, leaving one in a state of bliss and harmony. Jon Shapiro facilitates the plant sounds through technology he developed with Data Garden, as well as his own celestial guitar music. Their intention is to assist in the awakening of humanity restoring the garden of Eden through the sacred songs of Gaia.